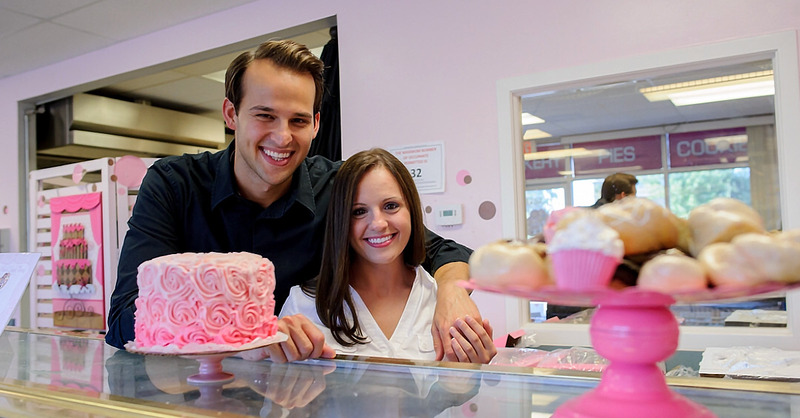 “My business started out small,” Jennifer said. “I was taking little orders here and there from friends and family—nothing crazy since I was working out of my house.” But when she saw a bakery pop up for sale in a location not too far from where she lived, she pounced at the opportunity. It didn’t take long for them to see that something needed to change. As soon as they got home from their honeymoon, they made a household budget. It only took two short months for them to see just how much of a difference that one small change could make—not only on their bank accounts, but also on their stress levels. After seeing how much better things were once they started living on a budget, Jennifer decided to create a second budget—this time, for her business. “I created an EveryDollar account and put in electricity, supplies, labor, team members . . . anything that fell under the business went into that budget,” she said. Today she not only has a thriving bakery, but she also saved a business emergency fund. Now if one of her appliances breaks down, she doesn’t have to panic or turn to a credit card in a pinch. She can just pull from her emergency fund and keep moving forward—stress-free. Make your money goals a reality with an EveryDollar budget. It’s free and takes less than 10 minutes to set up.